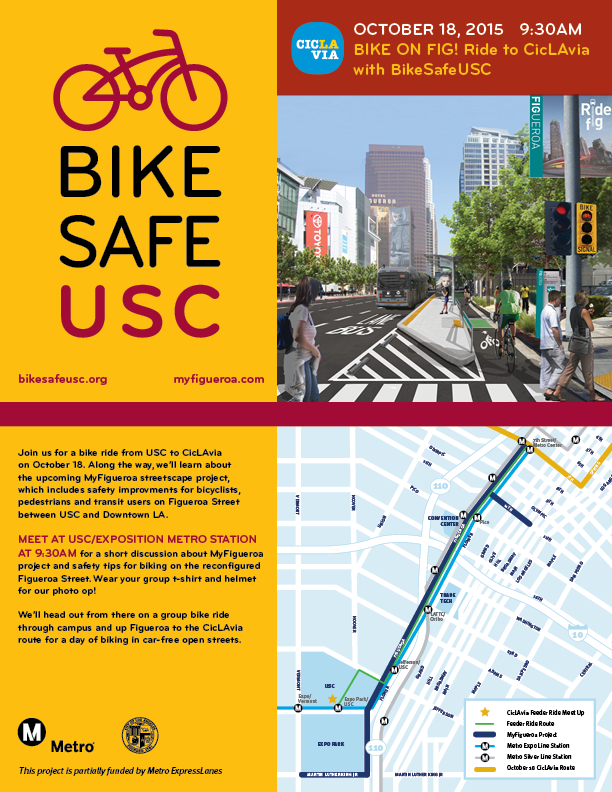 Students, faculty, staff and community cyclists are invited to join BikeSafe USC on a fun Sunday ride from the USC campus up Figueroa to CicLAvia. FREE Bike Tune-Ups, Bike Skills Training, LED bike lights, and lots of great bike gear and bike maps will be provided by a coalition of USC Staff, Students, Faculty and Community Groups along with the City of LA and Metro. Don’t miss the fun. 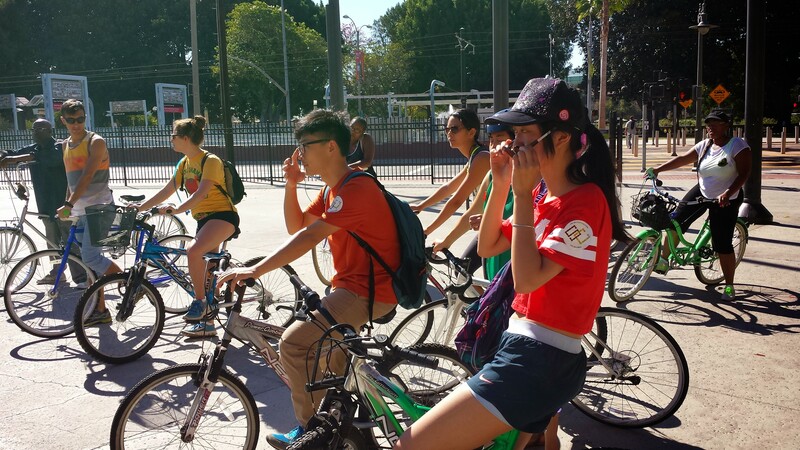 Join us for a feeder ride to CicLAvia Heart of LA! Download a pdf of our flyer to print!